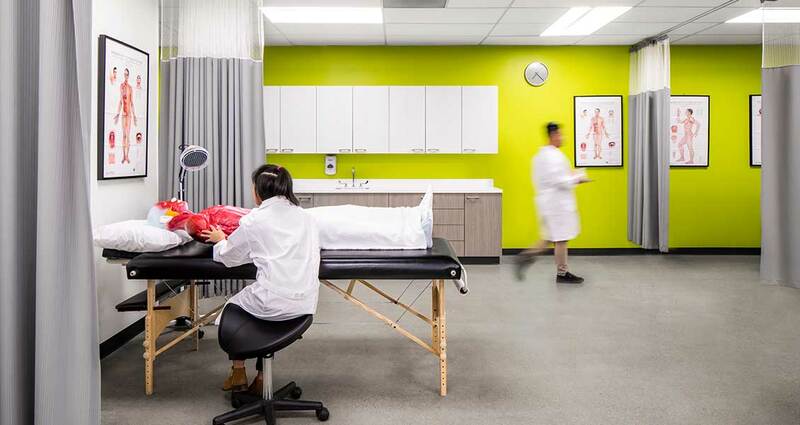 The Acupuncture Lab at Kwantlen Polytechnic University was an interior renovation project that converted two classrooms into an acupuncture laboratory and four support spaces: an office, observation room, interview room, and moxibustion room. 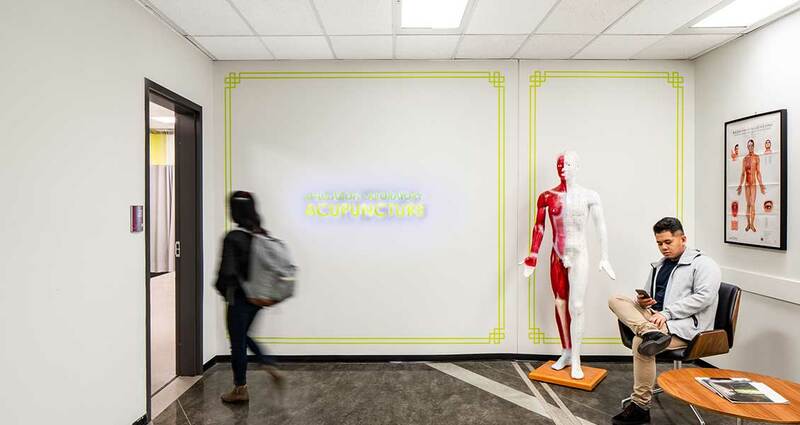 A feature corridor was also designed to highlight and draw attention to the Acupuncture Program. The renovation consisted of the complete removal of architectural finishes and partial removal of electrical and mechanical systems. 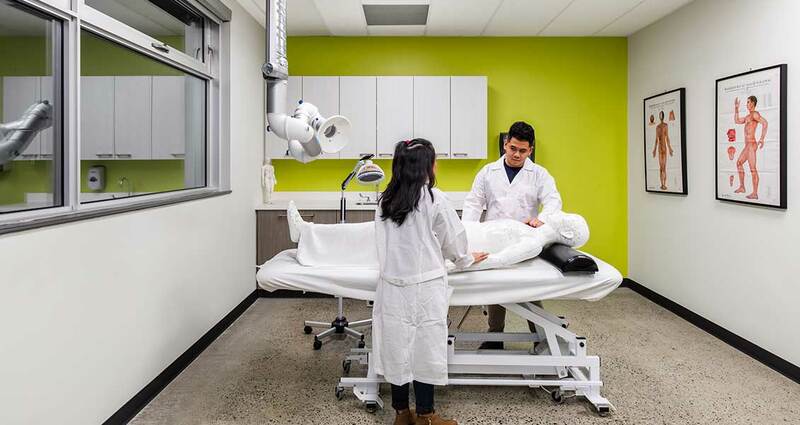 The mechanical and electrical systems remained largely unchanged in the acupuncture lab, but special care and consideration was given to the design of the four support rooms, in particular the moxibustion room. All rooms received updated architectural finishes including flooring, paint, and millwork. The feature corridor leading to the four support rooms was specially designed to draw a person’s eye inward and spark interest. 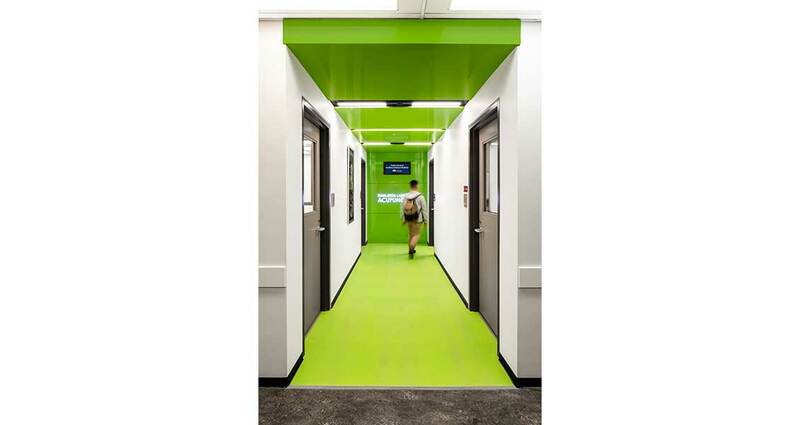 Matching green colours were chosen for the floors, wall, and ceiling to create an uninterrupted visual. Significant attention to detail was given to the panel connections, signage, lighting and mechanical fixtures to create clean lines.